Chapter 13 bankruptcy is very different from chapter 7 bankruptcy. In chapter 13 bankruptcy you can keep your property while you pay all or a portion of your debts over a 3 to 5 year period. Some debts such as child support or tax obligations must be paid in full over the repayment period, whereas other unsecured debts like credit card debt are only partially repaid. One unique aspect of chapter 13 bankruptcy is that you can repay defaults on long-term debts through the repayment plan but keep the secured property. In practice, homeowners use chapter 13 bankruptcy to stop foreclosure and save their home or erase a second mortgage. Chapter 13 bankruptcy can also be used to stop repossession but keep the car. If you need to discuss your chapter 13 bankruptcy options call our attorney at (916) 596-1018 and schedule your free consultation. Chapter 13 bankruptcy can be an excellent form of debt relief for certain individuals. As discussed above, chapter 13 bankruptcy can be the solution for stopping foreclosure and keeping your home. Other individuals use chapter 13 bankruptcy because they make too much money to qualify for chapter 7 bankruptcy. These people file chapter 13 bankruptcy and commit their disposable income to a repayment plan to discharge unsecured debt while they keep their property. Chapter 13 bankruptcy can stop the foreclosure process. When your attorney files your chapter 13 bankruptcy petition with the bankruptcy court the automatic stay comes into effect. The automatic stay is provided for in 11 USC 362 and prevents most forms of collection as soon as a bankruptcy petition is filed with the court, including the continuation of foreclosure. However, your creditors won’t know that you’ve filed bankruptcy until the court sends a letter. Therefore, if you’re facing foreclosure your chapter 13 bankruptcy attorney will put the Trustee and other parties on notice via email, fax, or other methods. A unique feature of chapter 13 bankruptcy is that it allows you to keep your home after bankruptcy. To understand why this is unique you must first know that liens on property generally survive bankruptcy. If you file chapter 7 bankruptcy your personal liability for the mortgage can be eliminated, meaning that the lender can’t sue you individually, but their lien on the home will continue to exist. Therefore, if you are in default (late on your mortgage payments) and file chapter 7 bankruptcy the lender will eventually be able to get the stay lifted and continue with the foreclosure process. In other words, the property subject to the lien will remain liable, and the lender can look to the secured property for repayment. However, your lender can only foreclose on your home if you’re in default, and in chapter 13 bankruptcy you can bring yourself out of default by repaying your late mortgage payments through the chapter 13 plan. In practice, you will repay your delinquent mortgage payments over 3 to 5 years and upon completion you will no longer be in default, preventing your lender from foreclosing on your home. 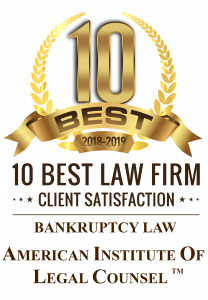 The same ability to cure defaults on long-term debts in chapter 13 bankruptcy allows you to stop repossession and keep your car after bankruptcy. When you file chapter 13 bankruptcy your lender can’t immediately repossess the car, and as long as you can repay the delinquent car loan payments through the plan they can’t repossess your car during or after chapter 13 bankruptcy. You can still discharge unsecured debt in chapter 13 bankruptcy. Unlike chapter 7 bankruptcy, you must commit your disposable income to the repayment of your general unsecured creditors. As a result, if you have disposable income at the end of the month your general creditors will get some money, so you will discharge a percentage of the debt you owe them at the conclusion of the repayment period. In other words, whereas you can discharge 100% of the debt you owe unsecured creditors in chapter 7 bankruptcy, if you have disposable income you can only discharge a percentage of the debt you owe unsecured creditors in chapter 13 bankruptcy.